JUSTIN’S PICK :: BOHEMIANS GN: Being sequestered in the sticks as a teenager, and being something of an inherent weirdo, I took some solace in my creative side, and also developed a healthy fascination with the Beats (i.e. Kerouac, Ginsberg, and my personal favorite, William S. Burroughs). 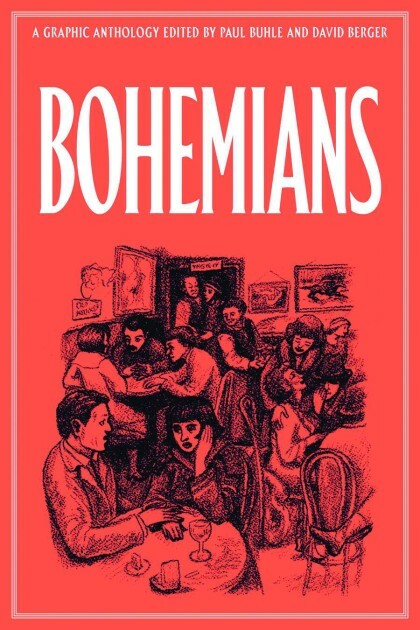 Bohemians promises to chronicle the predecessors of America’s original counter-pop-cultural movement. If this is an area that interests you, I’d also heartily recommend the late Harvey Pekar’s Beats Graphic History (mostly illustrated by Hip Hop Family Tree’s Ed Piskor, among others, but happy hunting…it’s out of print!). Hopefully, Bohemians will take a similar tack to Pekar’s examination, and dispose with the glamorizing of its subject matter. The lives lived under the radar, by their own rules, are easily romanticized with the benefit of hindsight. In all honesty, it’s a lot more squalid than that. Either way, I’m reading. Charlotte Mecklenburg Public Library has copies of Pekar’s book on the Beats. So it’s accessible, if you don’t care about owning it! Wow! That’s awesome! Thanks for the heads up, Mark! ← HEROESCON 2014 GUEST LIST UPDATE :: LOS BROS! SIENKIEWICZ! & MORE!